This site is focused on news and events for women's lacrosse (mainly high school level) in Houston. Premier provider of quality women's lacrosse gear in the Houston area. Ask about package deals available to our members. Spring Branch Memorial Sports Association website lacrosse news. 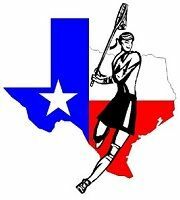 This Texas Girls High School Lacrosse League (TGHSLL) is the league within which our High School squads compete.